- Konjac is a plant found in Asia that is used for the health benefits that it provides. It is believed that glucomannan is responsible for the detoxification associated with its use. - Konjac vegetable fiber is popular for facial exfoliation because it has a soft texture and is very gentle. The fiber is rich in beneficial nutrients such as Vitamin A, B1, B2, C, D, and others. These antioxidants and minerals help absorb unwanted oils and reduce the bacteria that cause blemishes. ➵ What are the benefits of adding bamboo charcoal? - The charcoal is created by heating bamboo in an oven. 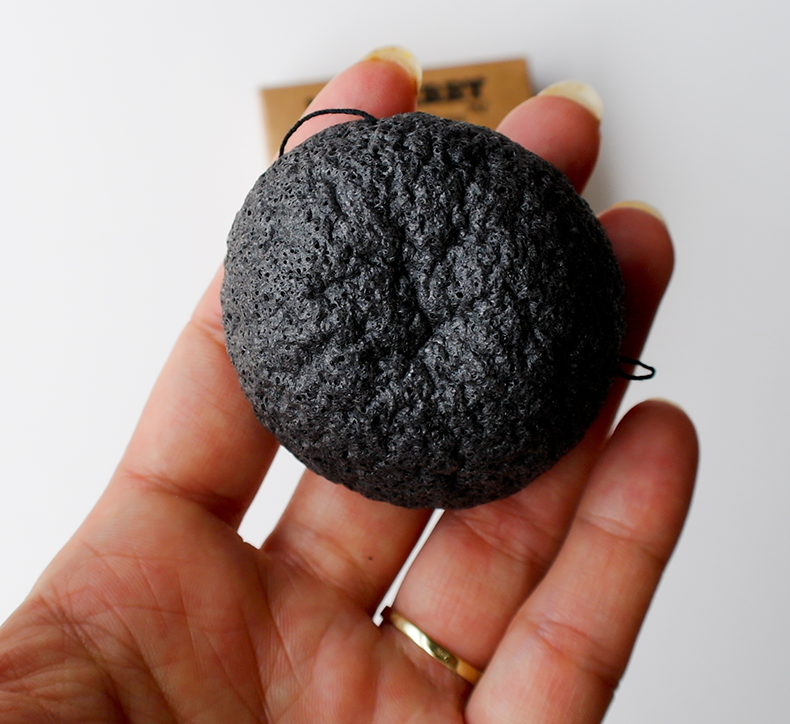 The charcoal in this natural sponge has high absorption qualities and is excellent for removing excess oil from the skin and helps to regulate moisture levels. - Charcoal bamboo is capable of removing impurities from water and has a highly porous surface area that works to eliminate dirt, oil, and dead skin cells from the face. 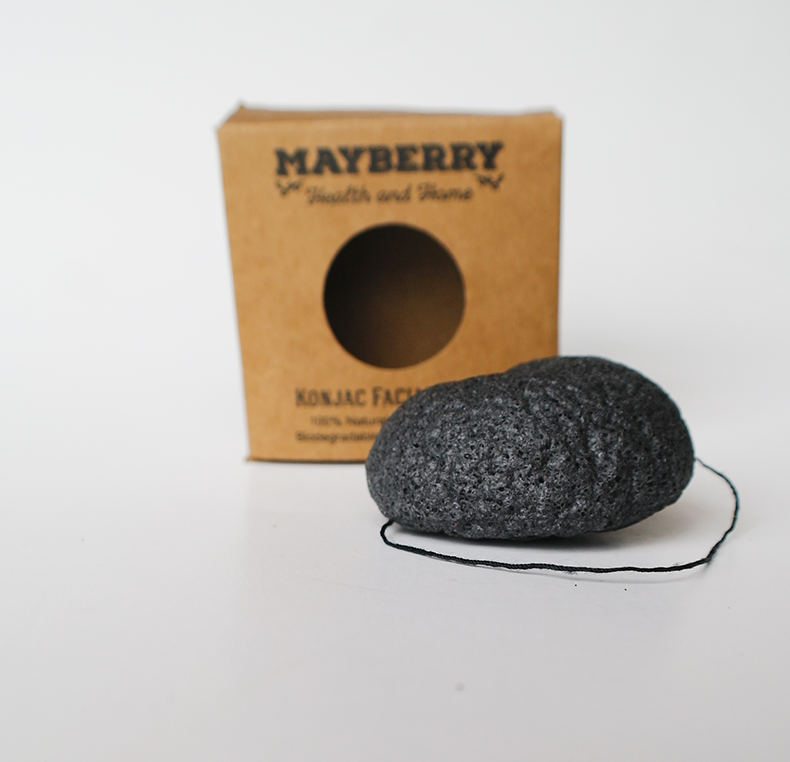 - A charcoal sponge also works to improve the moisture levels of the skin by absorbing or releasing water based on environmental humidity. ➵ How does it work? 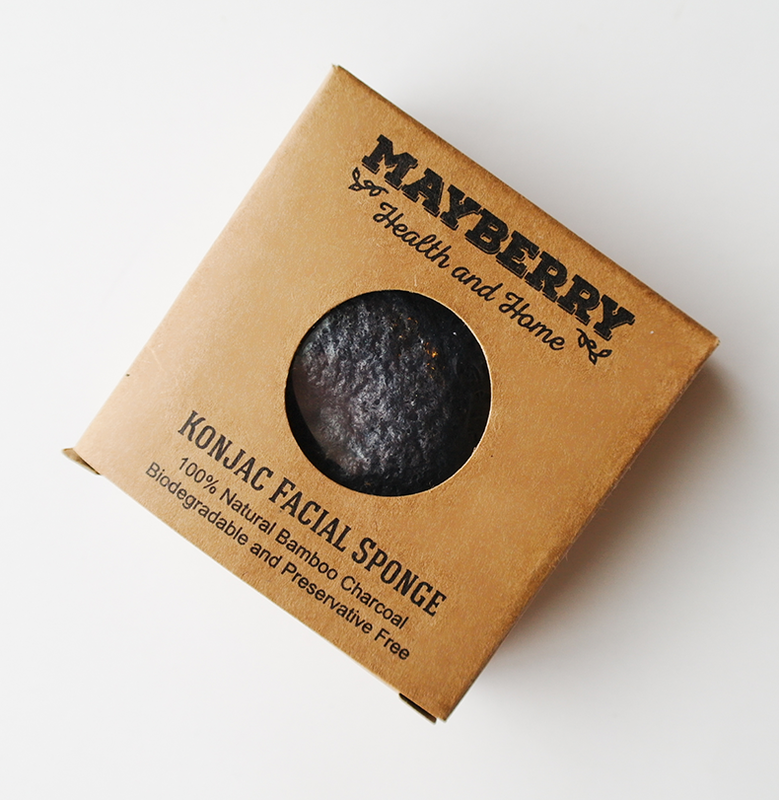 ➵ Other benefits of using Mayberry Koncjac Sponge? 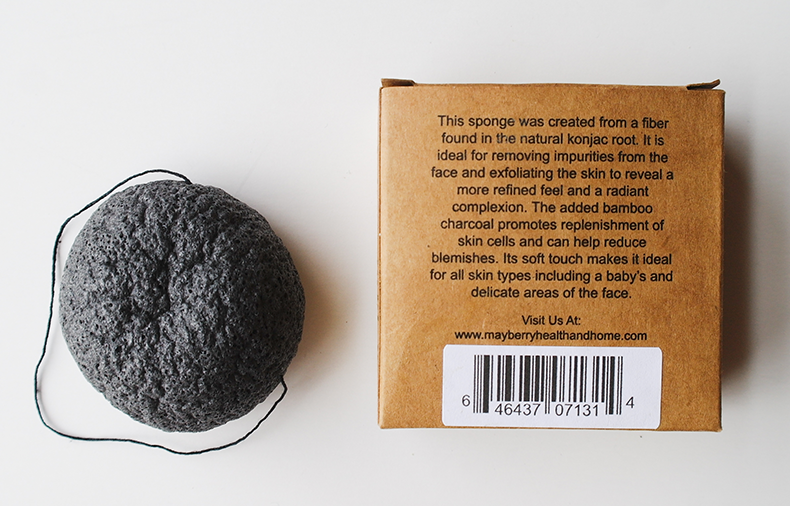 - Their Bamboo Charcoal Konjac Sponges are biodegradable and can be composted. - They do NOT contain parabens, sulfates, or other harmful chemicals. - They are cruelty free and made of konjac plant fiber. I've been using this sponge every day since I got it in the mail. I am beyond blown away by how amazing it is - cleansing and exfoliating with it is so easy and pleasant, and it does an incredible job of removing impurities from the surface of your skin. It also visibly improved the appearance of my pores - they are way smaller than just few days ago. I have a mixed skin - some parts are dry, others are oily. I also struggle a lot with keeping my pores clean and small, because most of the products I use (both makeup and skincare) tend to clog my pores and make them more visible. As part of my skincare routine, I used to use the cleansing rotating brush twice a day, but as you can probably imagine, while it did a good job keeping my skin clean, it also wasn't easy on it. Ever since I picked up the Konjac Sponge, I have switched to using it instead of the brush in the morning (I still use the brush in the evening, just to make sure my skin is completely clean and makeup free). And I absolutely love it. I honestly can't recommend this product enough! It comes packaged in a simple little box and is rock hard. You have to soak it in warm water for about 2 minutes before you use it. After two minutes, the sponge is super soft and ready to use. You can use it alone or with your regular facial cleanser. It's surprisingly durable for a sponge, and I love the texture of it. It's great for exfoliating, but really amazingly gentle on your skin at the same time. I'm definitely going to be using this sponge as part of my skincare routine from now on, and I am going to pick up a couple for my mom - she will love it, too! 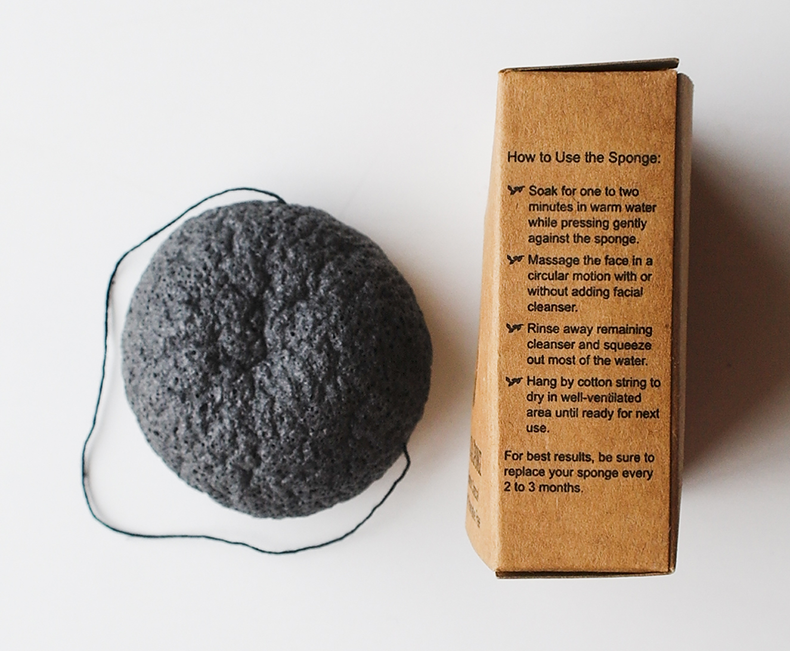 Your skin will love the Konjac Sponge, definitely give this one a go! Disclaimer: A sample of the product was provided to me in exchange for my honest opinion.